I got a very nice review from Donald James Parker on The Christian Pulse today. And there will be a drawing for anyone who leaves a comment for an autographed copy of Petticoat Ranch. The title of this blog post is a link to the review so just click and go check it out. There's a lot more on The Christian Pulse. A very interesting site. It's not exactly 'Four Score and Seven Years Ago' but even so, go check it out, because it's probably not gonna happen again. Petticoats and Pistols ~ I'm blogging TODAY! 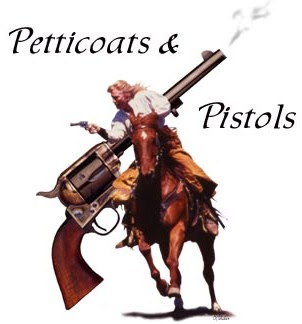 Today is my first official post as a member of Petticoats and Pistols. I posted there once before as a guest blogger. Read a great review of the soon-to-be released A Passion Most Pure by Julie Lessman. I think this will be the most fun book you've ever read. No, I haven't read it yet but the review on this site (click on the title of this blog to read it) will pique your interest, just as it did mine. 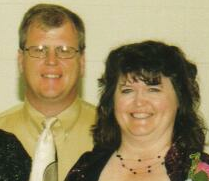 Kristy Dykes, a lady I know, is having her first radiation treatment for a malignant brain tumor on Monday. Her husband posted on the blog that will open if you click on the title to this post. He'll explain why he's trying to focus the prayers of thousands at that moment on Kristy. Click on the link above and you'll be taken to Seekerville. Learn all you need to know about a huge giveaway for all the readers hanging around Seekerville. Fair is fair. The one the title is linked to is my daughters. This is another one with me, Ivan and my two son in laws, who are even now escaping from the family and taking my daughters with them!!!!!!!!!!!!!!!! Click on the title to be taken to her blog. I have an interview online. Kinda fun. Click on the title of this blog, then when you're taken to Barbour Books, click on the Listen to Interview with Mary Connealy Link. I am the guest blogger of the day in Seekerville. Stop by and read what I wrote. I'll be on (because I wrote for so insanely long Jennifer had to break it up) Monday, Dec. 3rd, Tuesday Dec. 4th, and Wednesday, Dec. 5th. So keep checking back. Come and see my picture among the Wanted Posters with the other Founding Fillies on Pistols and Petticoats. Click the title of this blog post for a link. An article I wrote is included in the November Carnival of Christian Writers. Check it out. Cheryl Wyatt posted today on Seekersville. It's so funny the post alone is something to be thankful for this Thanksgiving. I've known about this for a while but now Barbour has sent out a press release about it and it's popping up different places. I've signed an exclusive contract with Barbour to write nine books for them through 2011. With other contracts I've already signed with them that makes 18 books. I'm writing as fast as I can. I promise. !!!!!!!!!!! !Praise the Lord and Thank You Barbour!!!!!!!!!!!!! 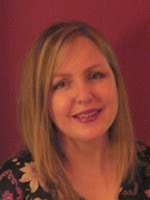 Rita Gerlach interviewed me for her Stepping Stones Magazine for Writers today. Click on the title of this blog to see it. It was a fun interview and we talked about Calico Canyon, the sequel to Petticoat Ranch. 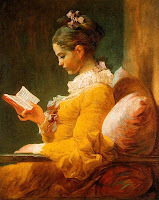 And go to Seekerville a blog dedicated to writer's contests. Today I talk not about being an entrant, but about being a mean old JUDGE! Come on over to Pistols and Petticoats and leave a comment to be in the drawing for a free autographed copy of Petticoat Ranch. My Day Giving Romance Advice...be afraid! 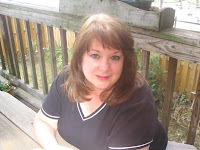 Use the link in this blog title to read my advice on romance on Myra Johnson's blog 'Writer at Random'....if you DARE!!!!!!!!!!!!!!!!!!! 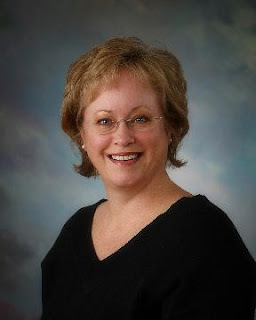 Cheryl Wyatt ~ Contests a Bitter Friend? 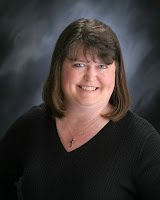 Cheryl Wyatt posts on The Seekers Blog today about the hard lessons she learned from contests. We all have to learn them somewhere! Missy Tippens is on The Seekers Blog today. I also just found out that her book, due for release in February, titled Her Unlikely Family, is up on Amazon now. Camy Tang writes about how entering contests helped her to find an editor and get PUBLISHED on the Seekerville blog today. 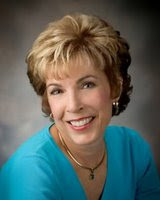 Julie Lessman is one of my Seeker buddys. I actually got to have a three hours breakfast with her when her life brought her to Omaha a week ago. She's posting today on The Seekers Blog. Her first book, A Passion Most Pure is coming January First. Buy it on Amazon now. 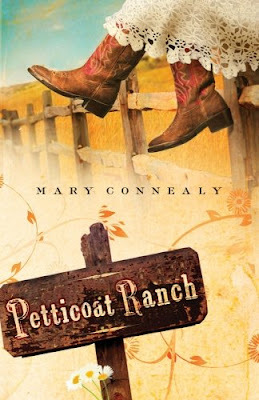 Michelle Gregory interviewed me today about Petticoat Ranch for her blog 'Life in the Midst of Writing.' This title above is a link to her site and that interview. Janet Dean, a fellow Seeker talks about her road to publication and how it led down the rocky road of entering contests. Terri Gillespie in front. She sent me this pictures. Thanks Terri. Also check out what's going on in Seekerville. Well, I won The Noble Theme contest and also placed third. I got a lot of requests at the conference to send in my book. I also got a really simple request from Cathy Marie Hake an author I didn’t know. She asked me to send her my first three chapters. She just wanted to see how I wrote. I also had an agent looking at my work before this conference. He hadn’t offered to represent me, but he had expressed interest. When I emailed him to tell him I’d won the contest and tell him I received about fifteen requests from agents and editors for maybe five different books, he offered me a contract, so I got an agent, which is almost as hard as getting a book sold. 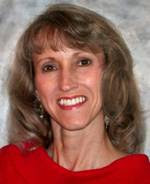 Cathy Marie Hake also kept in touch. She said she thought I was ‘ready’. No editor had yet seen that light, but Cathy’s encouragement kept me hoping. Plus, by this time, I had about twelve books and I’d had so many rejections I had a hide like a rhino, so submitting work didn’t even faze me. Okay, well maybe I crawled under my computer desk and sucked my thumb for a day or two every time I got one but other than that I was fine. Just before the next year’s conference, Cathy Marie Hake told me she wanted to pitch my name to write a book as part of a three book series set in historical Alaska. I worked on a proposal and talked on the phone with Cathy a lot before the 2005 conference. Every year at the conference the acquiring editor for Heartsong Presents gives a contract to an unpublished author. I was so hopeful! I knew there was a chance it could be me. The Heartsong editor said someone else’s name and there’s only one, so okay, I’ve been rejected before. I kind of expect it. And then she said, “And this year we’re giving two contracts to first time authors. We’re offering a contract to Mary Connealy.” I get chills saying that! It was a wonderful, thrilling shocking moment. I had to go up and get the contract, in front of 350 other writers, all clapping. A great, great moment in my life. And it happened as a direct result of contests…and ten years of hard work of course. I lured a friend to my daughter's wedding and found out about this whole other life she's living since she used to live next door to me. 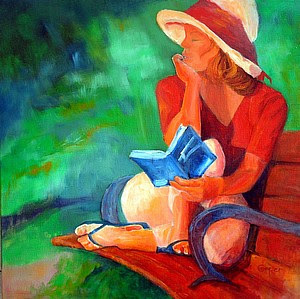 So Karen is painting...this picture a woman with a book, I love it. And I'm writing. And we're finding out a thousand things we need to catch up on. Go to her blog, too, which you can find through her website in the title link above. "And if Vincent said it then it must be true!? So I go with it, but I go with it because I like it that way. Three primaries, with maybe a daub of violet, and a bit of green, that which some people would call a limited palette. For me, it’s all that’s needed to make a painting that feels fresh and alive. And that’s where I need to be at this space in my life. The Link in the title will take you to an article written by my brother Pastor Donald Moore. Don is an Evangelical Free pastor in Omaha., His article is about ways to fund medical care in America. It's on www.helium.com. He's on the home page today, October 8. but I don't know how often they change the home page. 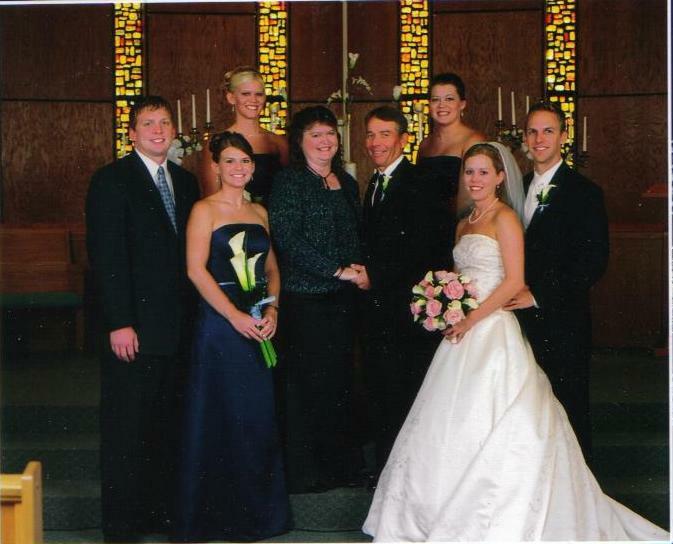 The picture of Don and me, is from my daughter Shelly's wedding...I cut the whole rest of my family out except Don and me. That was kind of mean. I'll include the rest of the gang another time. 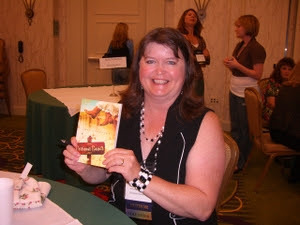 At the ACFW Booksigning in Dallas, Texas. 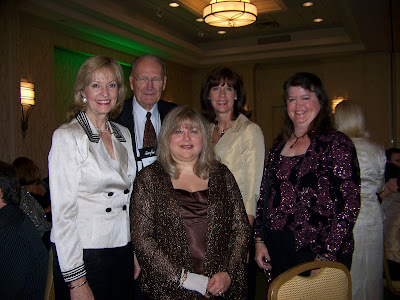 I sat next to Colleen Coble who is a mega-successful author. It was fun to get to know her better. I got my picture from Myra Johnson--a good friend--and if you click on the link above it'll take you to Myra's blog and she's written some wonderful, touching thoughts about her experience at the conference. I had a wonderful time last week at the ACFW Conference in DAllas. I'm exhausted and overwhelmed and glad to be home. But I loved it. The link above takes you to the ACFW website. This organization is the reason I finally figured out how to get a book published and I'm incredibly grateful to it. Plus, just spending four days with 450 Christian Women Writers is just a beatufiul, fun experience. 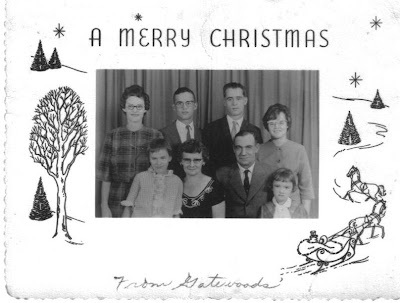 My Mother-in-law Marybelle had this picture out today. She's been going through some old stuff. So I asked if I could have it. The littlest girl in the picture is my friend Janell. The link in this blog's title will take you to her blog. This is her family. I suppose they all have this picture already, but I thought they might get a kick out of it anyway. Janell is one of two people on earth who can ask about my brothers and sisters--there are eight of us--and actually know what I'm talking about, who I'm talking about and care what I say. And I can do that with her. That's a different and precious kind of friendshaip when you have those roots with someone. Anyway, looking at this picture made me smile and I thought I'd try and lure HER bloggers over to see it. Maybe it'll make them smile, too. 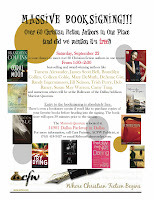 Do you love Christian fiction? Then join us for the ACFW booksigning on September 22nd from 1:30-2:30 at the Dallas Addison Quorum Marriott, 14901 Dallas Parkway, Dallas. Click on the picture below to see the flier. Hope you can join us! 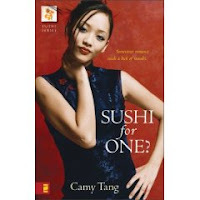 Camy Tang's debut novel Sushi for One? is a hilareous, high energy, fast paced read. I loved the sass and the frustration of poor harrassed Lex the OSFC (Oldest Single Female Cousin). But what sets this book apart from lots of fun reads is the Asian flavor Camy brings to the story. It brings a touch of the exotic, takes you away to this best-of-both-worlds American-Asian family and brings the book to life in a way few authors I've read can do. I had a great time with Sushi for One? I highly recommend it. It's my month again to write a column for Afictionado Magazine. You can find the column by clicking the link in the title.